Tesla Motors' CEO, Elon Musk, has suggested in a tweet that the company's cars will be equipped with full self-driving capabilities very soon. Musk was asked on Twitter, "At what point will 'full self-driving capability' features noticeably depart from 'Enhanced Autopilot' features?" In response, he tweeted saying, "3 months maybe, 6 months definitely." However, he didn't make it clear what full-self driving capability meant. But it's safe to assume he's talking about Level 5 autonomy. This is the highest level of autonomy and does not require a driver to intervene at any point during the journey. Late last year, Tesla updated its entire line-up with hardware that supports Level 5 autonomy. This includes two ultra-sonar sensors, eight cameras and radar. In reply to another tweet asking him if there was value in full self-driving capability before regulatory approval, he stated that safety would improve significantly thanks to these features, even if the regulations still mandate that a driver be present. This exchange came after the National Highway Traffic Safety Administration found no fault with Tesla's Autopilot system, which resulted in the fatal crash of a Model S owner, Joshua Brown. But it's not just in autonomous tech where Tesla is leading the race. The company recently launched the Model S 100D, the longest-range electric vehicle in the world. 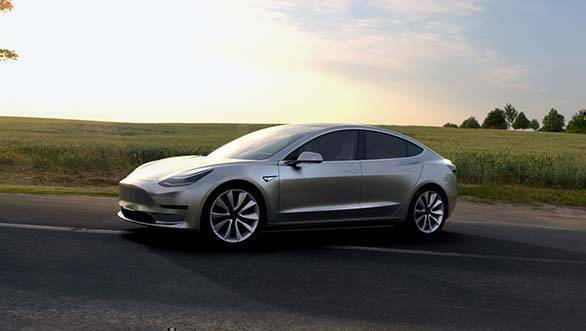 Tesla claims it will go 475km in one charge.